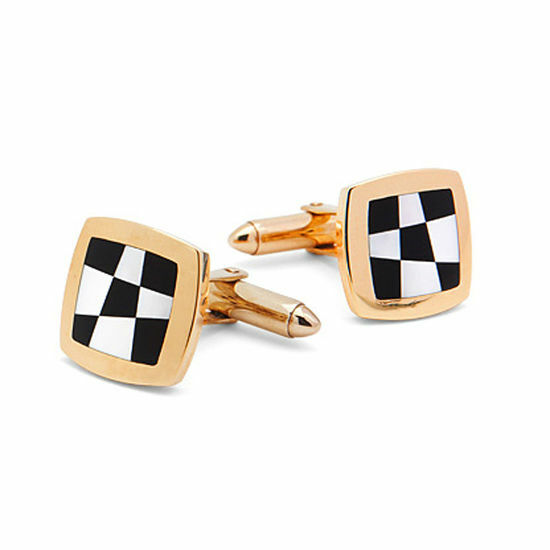 These exceptional Aspinal cufflinks are made in 9ct Yellow Gold and inlaid with a chequered flag pattern of Onyx and Mother of Pearl. 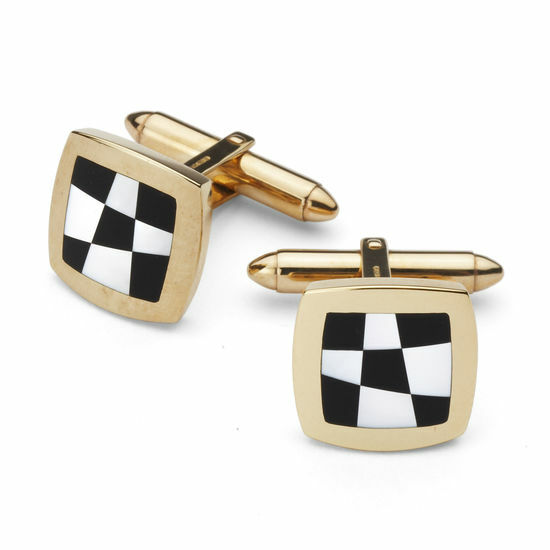 Everything about our cufflinks simply oozes quality, style and distinction and each pair comes in an exquisite Aspinal signature jewellery presentation box. NZ$82.50 will be added to your total purchase price at checkout. This will subsidise tax, duty, credit card fees, insurance in transit and handling.